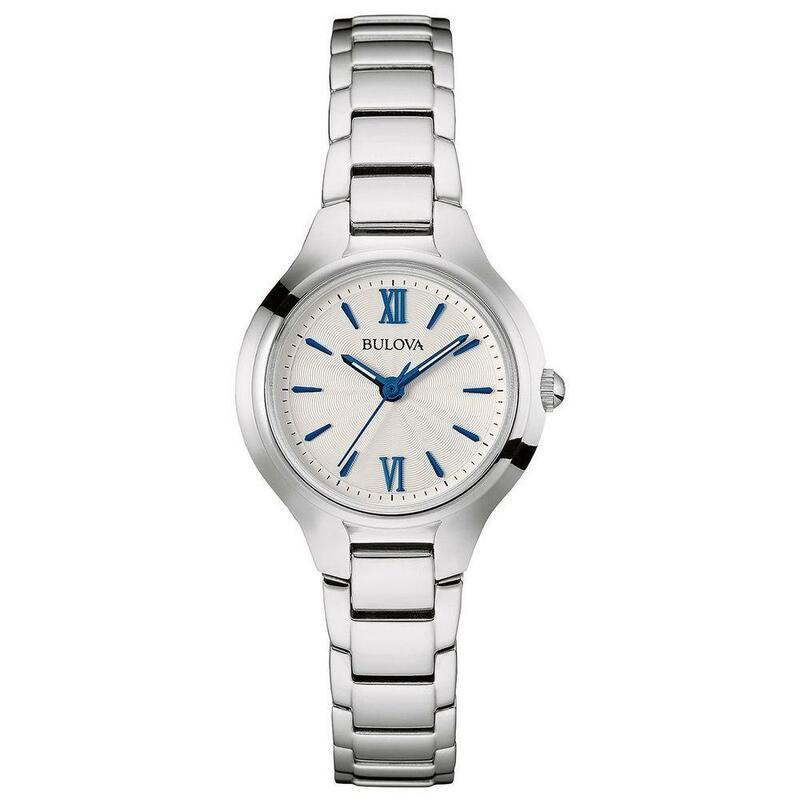 Its time to refine your look with the sharp sophistication of this womens watch from the Bulova Diamond collection. 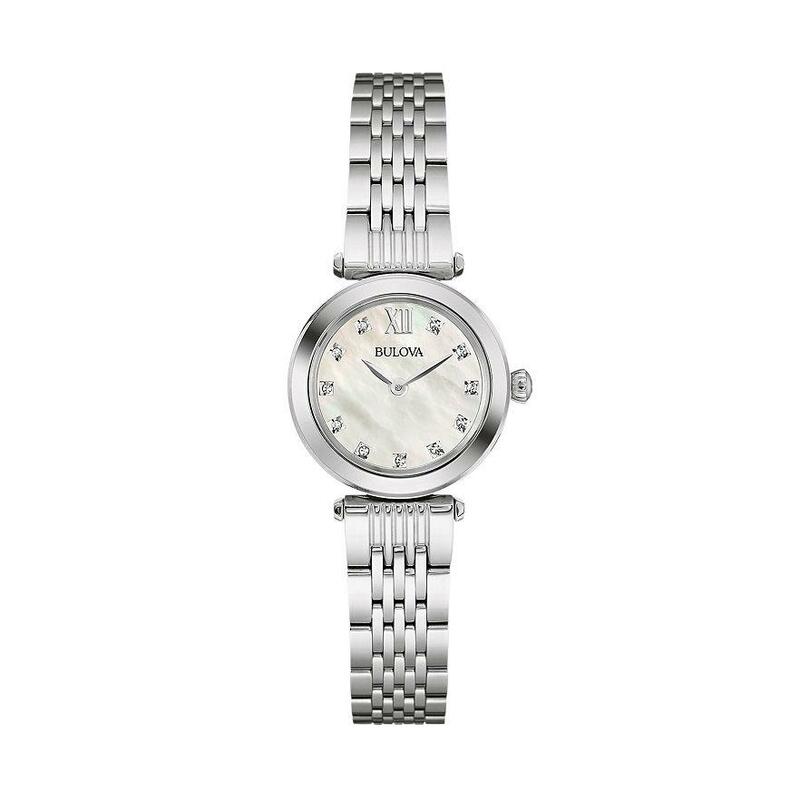 FEATURES- Water resistance: 30 meters. 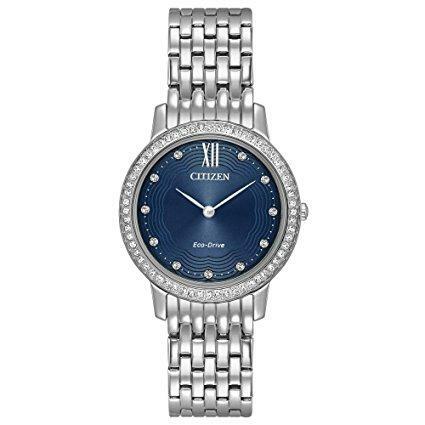 CASE & DISPLAY- Mother-of-pearl dial, Silver-tone hands & Roman numeral, Diamond-accent markers, Face cover: mineral crystal, Case & caseback: stainless steel, 24-mm diameter. 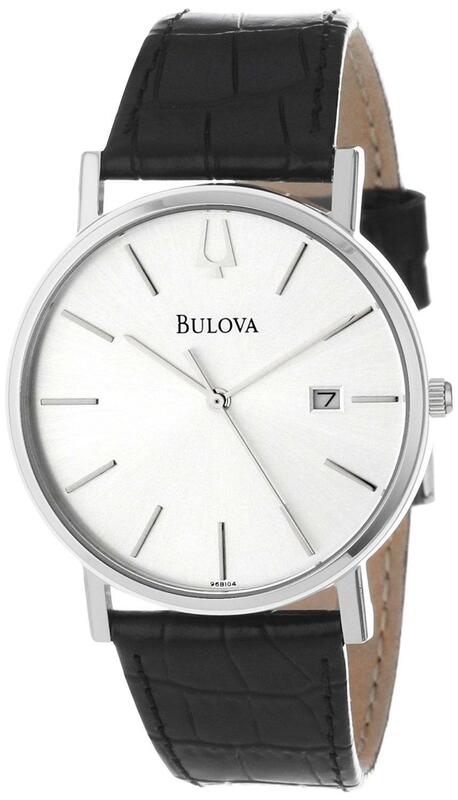 BAND- Stainless steel, Push-button deployment clasp, 190-mm circumference 12-mm width. DETAILS- Quartz movement, Battery power. 3 year limited warranty.